Storms and Trees: Are Trees Dangerous? REPUBLISHED June 30, 2012 — the information is still relevant for the horrendous storm last night. We hope to have electricity to cover the recent storm soon!!! 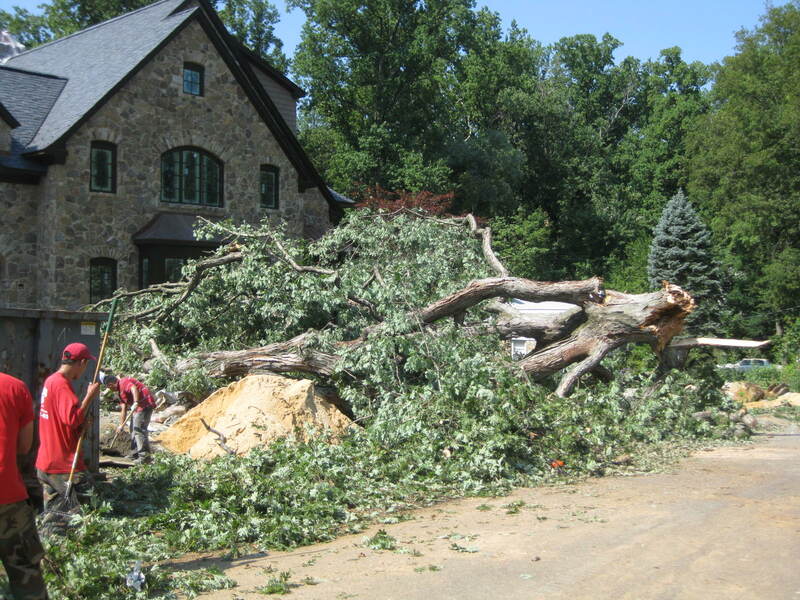 In the evening of July 3, 2011, a violent storm ripped thru northern Arlington and in a half hour, more than 70 trees were downed. and 11 homes were significantly damaged. The National Weather Service says this was caused by a “macroburst”, which means not only did the winds reach 60 – 80 miles per hour, but they covered a wider area of nearly a mile, with swirling winds. Most trees can tolerate wind in one direction pretty well, but twisting winds cause tremendous structural damage. One observer commented how the tops of trees were twisted around as if they were a corkscrew. A bicyclist on the C&O Canal died from a falling tree limb. Fortunately, no one died or was injured in the 11 houses significantly damaged. Although the families whose homes were destroyed have difficulty thinking of themselves as “fortunate”. Losing one’s mature tree is upsetting, but losing your tree because it crashed into your house totally disrupts your life and is emotionally gut wrenching. So they are now busy cleaning up the debris, dealing with insurance companies and arranging for repairs. How will they feel about replacing their large canopy trees in the future? We humans react to risk based on our personal emotions much more than unbiased mathematical odds. We are impacted by what we see and experience: people who watch crime shows believe violent crimes are more common than they are, if a friend is diagnosed with a rare illness then we believe it is more prevalent than reality, and if a tree falls on a neighbor’s house we believe that is a greater danger than it truly is. The loss of a tree can be very emotional; we encourage the planting of a new tree as therapeudic and very rewarding. This entry was posted in Education, Uncategorized and tagged education, storms. Bookmark the permalink. 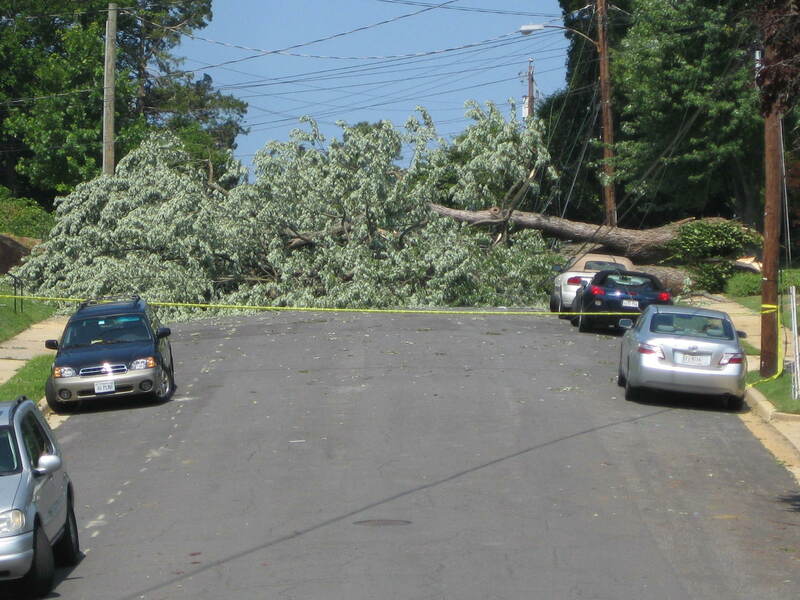 1 Response to Storms and Trees: Are Trees Dangerous?